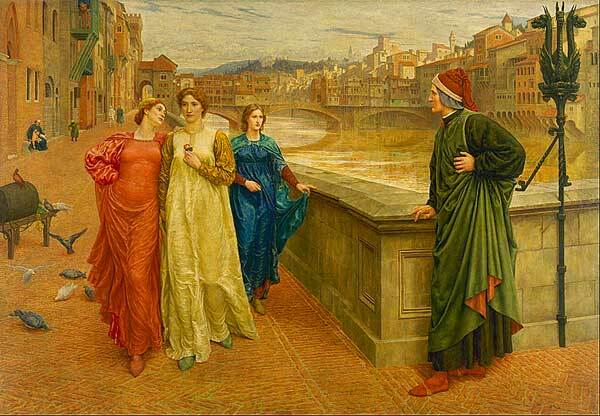 Dante used this gigantic, preternatural road trip to see scores settled, of course: indeed, it constitutes something of a revenger’s fable on the Ghibellines and Pope Boniface VIII, conceived on a titanic scale. But Dante Alighieri is secure. His proud shadow falls even on poets who never heard of him. Ezra Pound, in Canto XXXVIII, cites Paradiso XIX, concerning debasement of currency. Dante dressed this sin (his charge against Philip of France) as one of a salad; Pound, alas, tended to focus, to an unwholesome degree, on usury and currency speculation. In just about every celestial painting by William Blake, one sees the cantos of Dante. Giotto first met Dante in 1305 and whilst most of his figures in profile look disturbingly like Marlon Brando, this would seem to render the poet aged about 40. 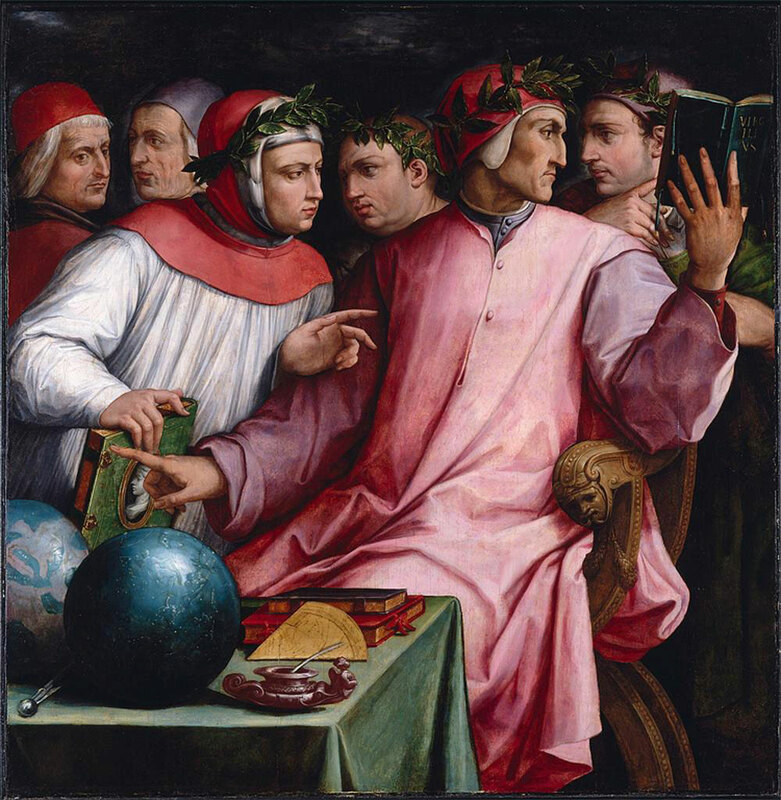 *DANTE’S PEAK: To climb the mountain of works on the Divina Commedia, one might usefully start with two books and their selected bibliographies: The Cambridge Companion to Dante (1993) edited by Rachel Jacoff and Dante and His World (1966) by Thomas Caldecot Chubb. 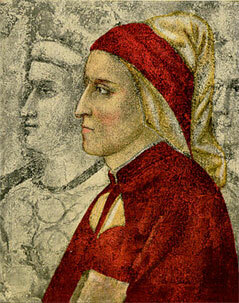 Also see Giovanni Boccaccio, Life of Dante (1374).